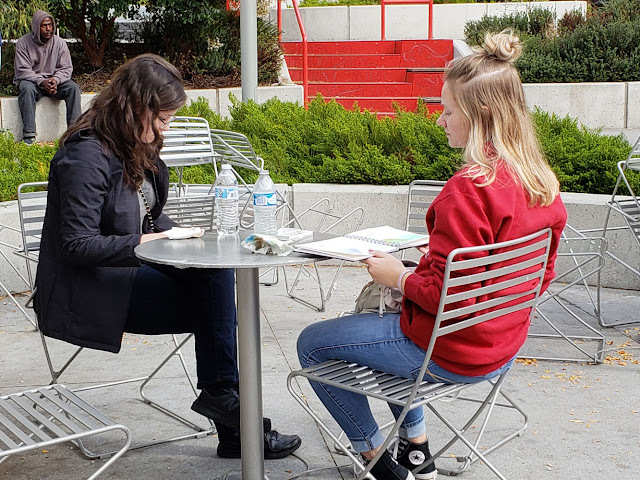 This morning USk Seattle met in Chinatown/International District with Washington State University interior design students and their teachers, who were in Seattle for job shadowing and to research local resources. Over lunch afterwards, instructor Bob Krikac told me that learning to draw by hand is an important part of the curriculum because he believes clients are more receptive to early design concepts when they see them hand-drafted. 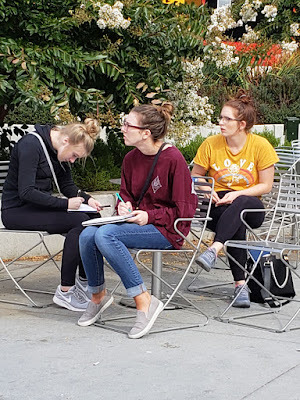 As someone who obviously values old-school sketching on paper, I was pleased to hear that there’s still a place for that in contemporary design, where so much of the work is done on computers. 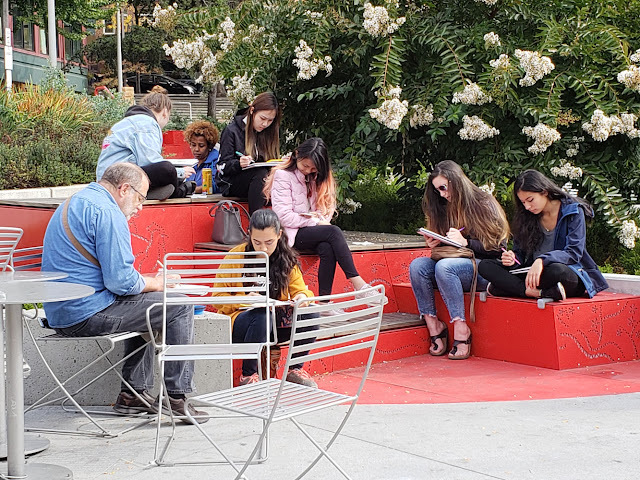 I’ve been using a lot of graphite lately, which I love for its expressive, tonal aspects and because it is helping me to see and understand values better. But the heck if I was going to use graphite in the colorful ID and Hing Hay Park! 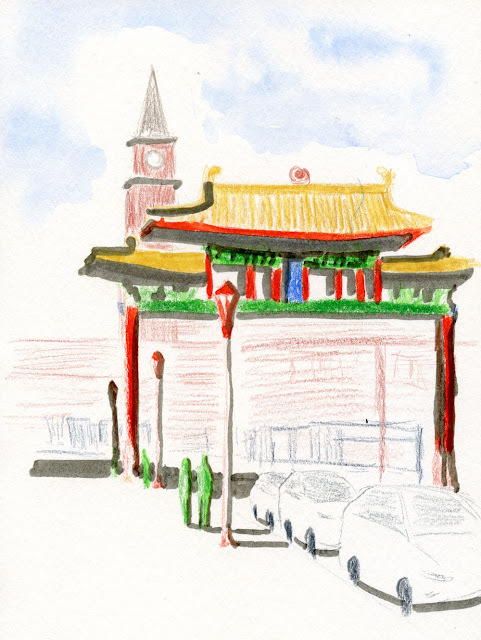 First up was a sketch of the historic Chinatown Gate and the equally historic King Street Station peeking behind it. I sketched a similar view last year during the Lunar New Year celebration when it was mobbed with celebrants. By comparison, it was relatively quiet in the ID today. 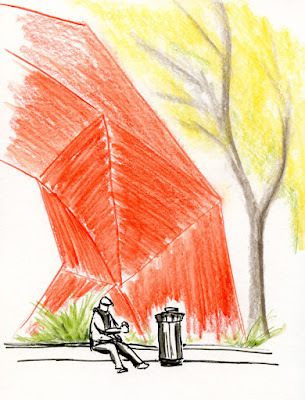 Several months ago, I sketched a larger view of the dramatic Gateway in Hing Hay Park. 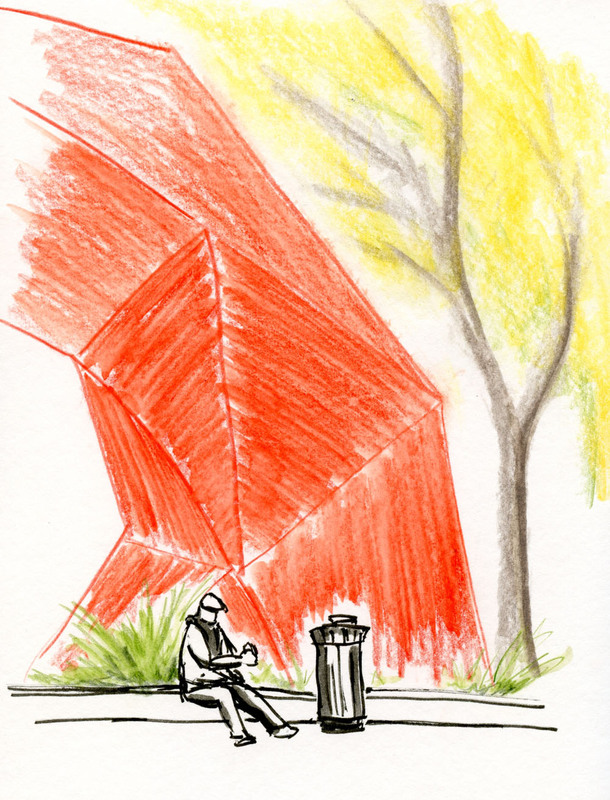 This time I got up close, where a guy was eating lunch next to the bright red metal sculpture. 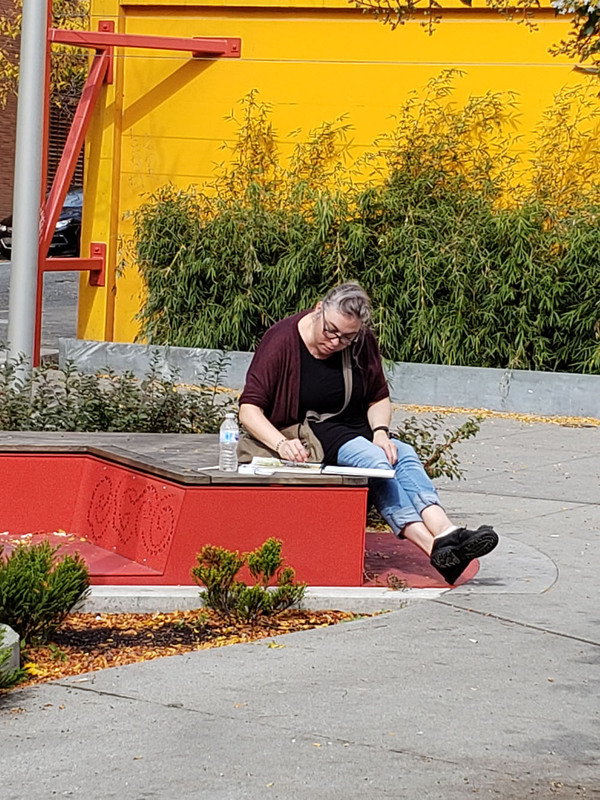 It was a fun morning sketching with the students and USk Seattle on what might be the last day of our streak of beautiful fall weather.